Azorella compacta is a funny looking plant which is commonly known as Llareta (as in in Spanish ll). 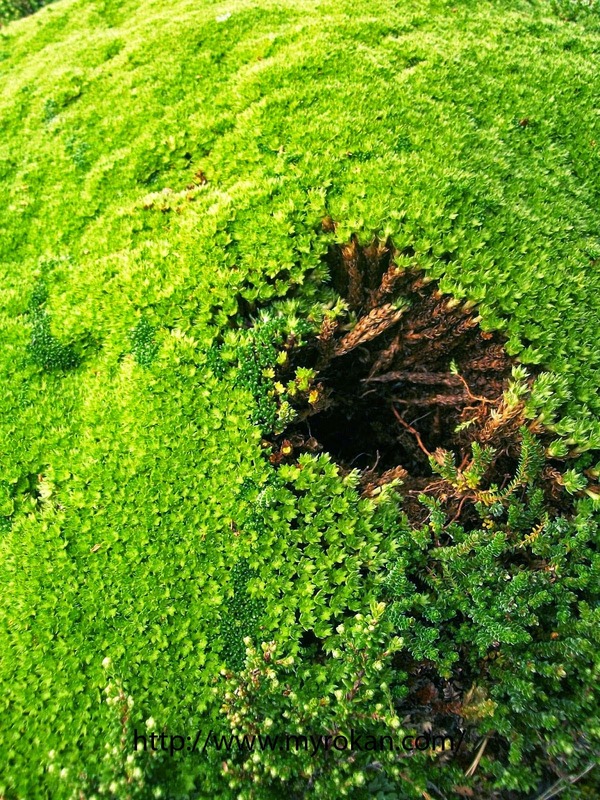 It may look a little like a giant ball of moss, but it is a flowering plant, or a colony of flowering plants anyway. They grow in dense colonies in order to prevent heat loss at the high altitudes they it lives. Some llareta plants are estimated to be 3,000 years old. Of course when you live that long there is really no hurry, and they only grow at a rate of around 1.5 cm per year. 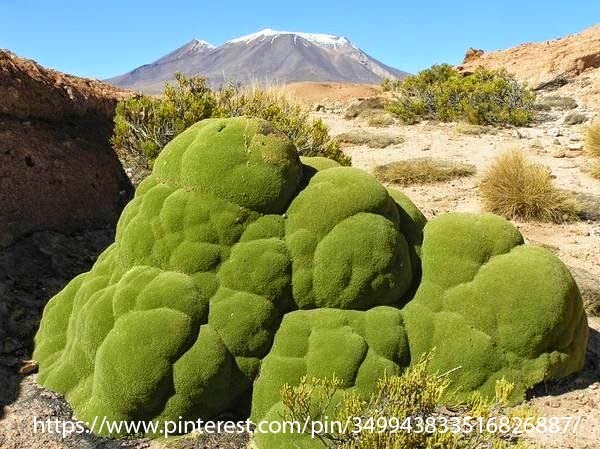 Llareta can only be found in the Andes mountains at atitudes between 3000 and 4500 m.